Panagsama Beach | MoalboalGuide.com - your guide to amazing Moalboal, Cebu, Philippines! Moalboal is famous for it's scuba diving and almost all the dive shops are located here in Panagsama. 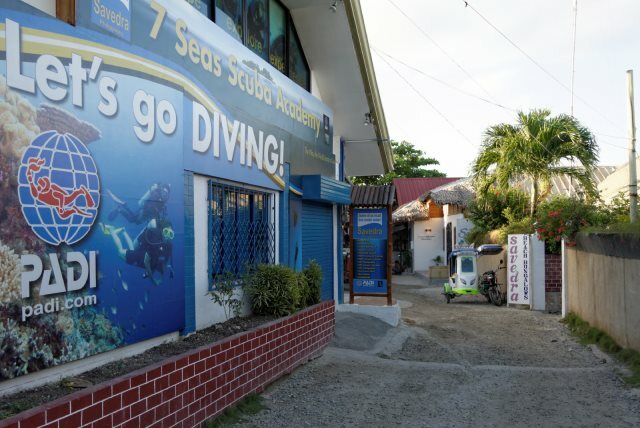 There are countless dive shops, training centers and boats ready to take you out scuba diving at the House Reef, Pescador Island or many other world-famous diving spots. Moalboal is known for having some of the best diving in Asia! Tip: If you are interested in getting PADI certified, this is the place to do it! 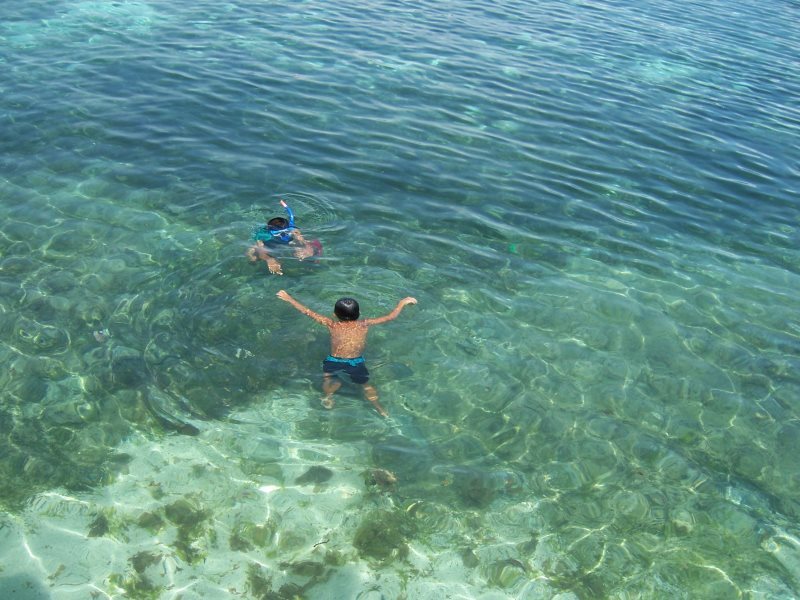 There is amazing and convenient snorkeling from Panagsama Beach. Just a short swim from shore is the "house reef", which has a breathtaking drop-off where you will surely see plenty of marine life (maybe even a sea turtle if you're lucky). 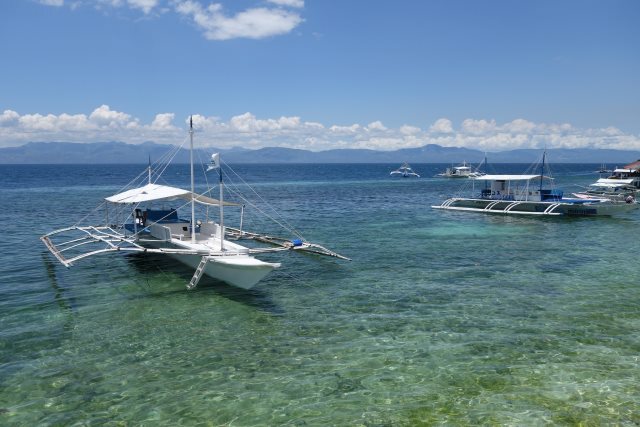 You can also take a boat ride out with the divers to many other snorkeling spots, such as Pescador Island. Tip: Quo Vadis is probably the easiest spot to snorkel from. Gear can be rented or borrowed from them or any dive shop in the area. 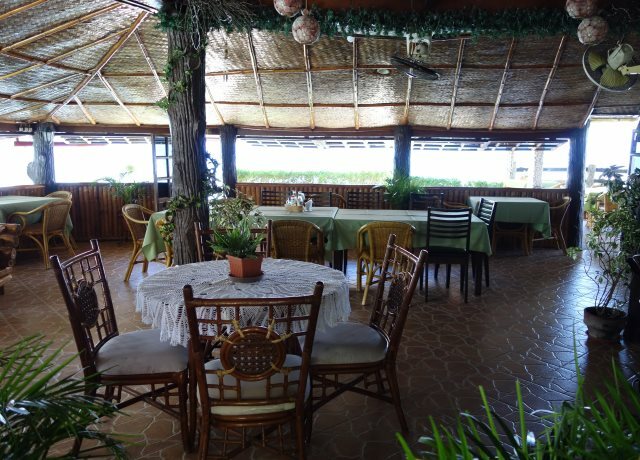 Panagsama Beach has dozens of restaurants and bars to choose from. Walking along the Panagsama "road" (more like a dirt path), you will pass a variety of restaurants and bars. Whether you are looking for upscale dining (try Arista Restaurant @ Quo Vadis) or more budget-friendly options, there are plenty to choose from! Be sure to check out the famous sunset over Negros Island, directly across the sea from Panagsama! Tip: Don't be afraid to try some of the more "native" restaurants. While they might not be fancy, you may find some hidden gems. The amazing banana pancakes at "BB's" are a great example! Fancy? No. But cold beer and delicious food? Yes! If you are expecting a beach in Panagsama, you might be disappointed. There isn't much of a beach to speak of here. However, there are a few small spots of beach to relax on (you might have to share it with some local kids!) and the water is beautiful. While the lack of a beach may be a downside to some, it has probably helped to keep development of Panagsama to a minimum. Even though there are plenty of resorts and restaurants, the area still maintains a small-town, non-touristy feel. For beach lovers there is good news... just head to White Beach!. When arriving in Moalboal, you will immediately be offered a tricycle or motorbike to get you to Panagsama. This should cost no more than P100 (~$2usd). 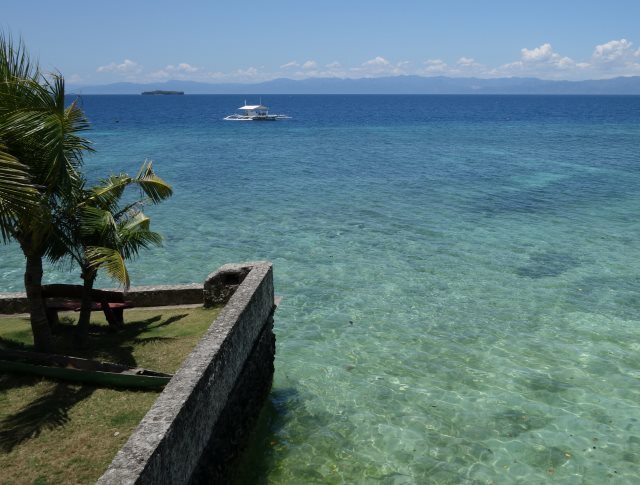 There are countless hotel and resort options around Panagsama Beach that will fit any budget. You can find dorm-style accommodation for as little as P250 (~$6usd) at the Moalboal Backpackers Lodge. For more upscale accommodations, head to Marcosas Cottages or Quo Vadis, where P2000-P3000 (~$45-$70 usd) gets you a great cottage in a beautifully landscaped garden setting with a sparkling pool!